“You don’t know me, I don’t know you, but Jesus brings us together.” The people of the Gutnius Lutheran Church (GLC) often sing the Pidgin version of these words (from the hymn “Long Marimari Bilong God”) as they gather for worship. “Jesus died to forgive our sins,” said Imbu Yonge, as she sat at the entrance of Immanuel Lutheran Church, Enga Province, Papua New Guinea (PNG). Imbu, whose husband was trained as an evangelist by the Rev. 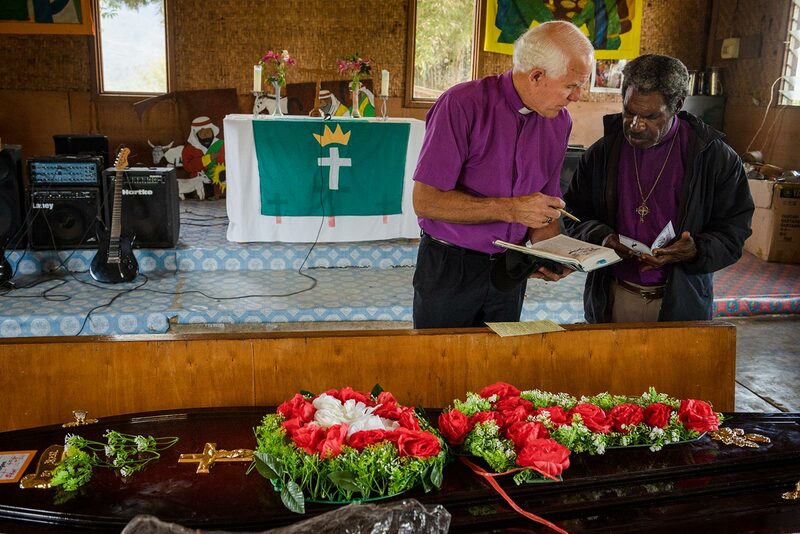 Dr. Otto Hintze Jr., the first LCMS missionary to PNG, is now unable to walk. Members of the congregation carry her to church, where she sits near the doorway to greet all who enter for worship. Infant Orea Wokman also was carried to Immanuel, where he was baptized. This congregation, which resulted from the work of Hintze, was recently rebuilt after tribal fighting burned down the previous church building. Both were carried — one elderly, a reminder of the historic mission, and one young, embodying the hope and promise of the future — and by God’s grace, both are in Christ. Parishioners arrive at Immanuel Lutheran Church. Imbu Yonge (left) greets LCMS missionary Julie Lutz before Sunday worship at Immanuel. Infant Orea Wokman is baptized later in the service. The inherent tension between tradition and growth hangs over the developing nation of PNG. Men carry both bush knives and cell phones as they walk along the road. 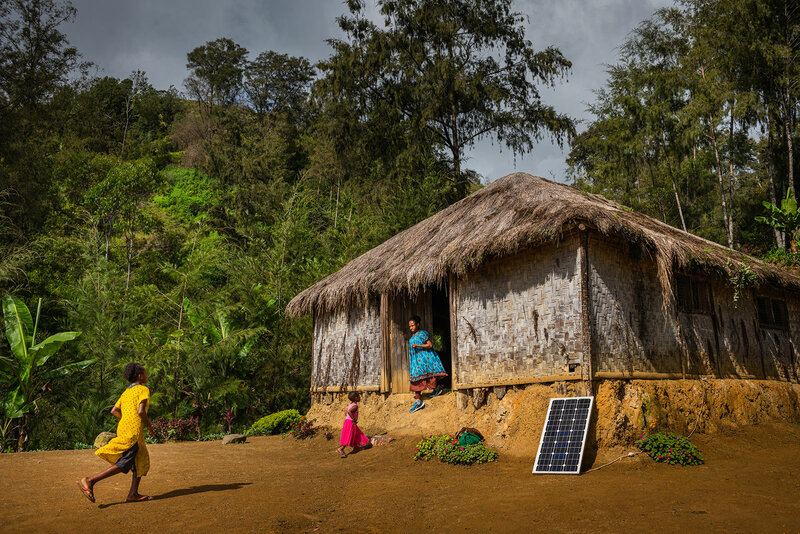 Solar panels provide electricity, while nearby a hole in the ground serves as the toilet. Tribalism and clan loyalty remain amid democratic government. This tension is equally present in the Gutnius (“Good News”) Lutheran Church, an independent and growing church body. 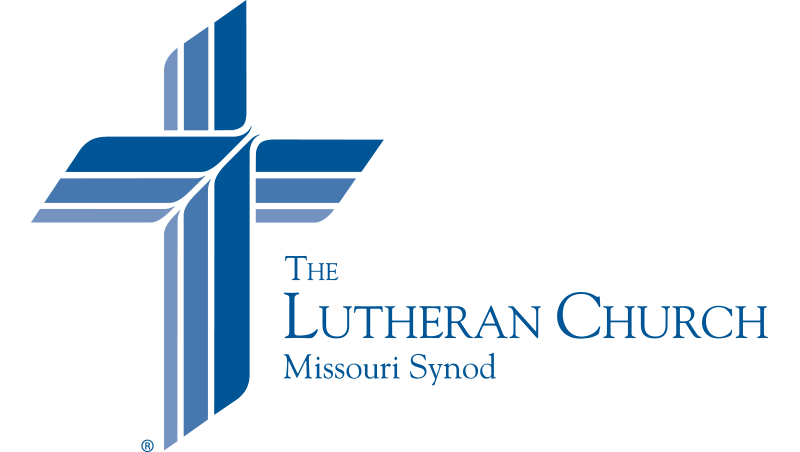 The Lutheran Church—Missouri Synod (LCMS) and its missionaries continue to influence and encourage this partner church, which holds the early LCMS missionaries as heroes who brought the Good News. 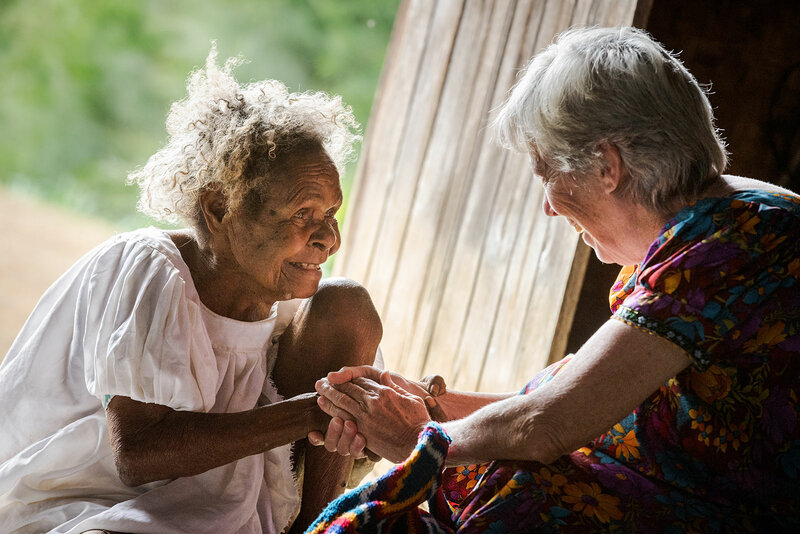 Today, LCMS missionaries serve as the tangible link to the historic and theological foundation of the church in PNG. Like all who mature, the GLC faces both the joy of learning and growing, along with the threats of destructive and deceitful influences. Not all dangers are from without. LCMS missionaries no longer walk through the bush to bring the Gospel to tribes who have never heard the Word of God. Now, those who serve in PNG work alongside the GLC in an officially Christian nation to encourage them in the truth of God’s Word, instructing them how to refute those who teach falsely. Where there is conflict, they work to encourage godly resolution and beneficial discussion. Though the GLC has faced leadership struggles, the people of the GLC are not consumed by these divisive fights. The faithful people of the GLC, just like their brothers and sisters in the LCMS, gather to hear God’s Word and to receive the Sacraments. Few people in PNG have paying jobs; most grow enough in personal gardens to be self-sufficient, thanks to the fertile soil and temperate climate of the highlands. 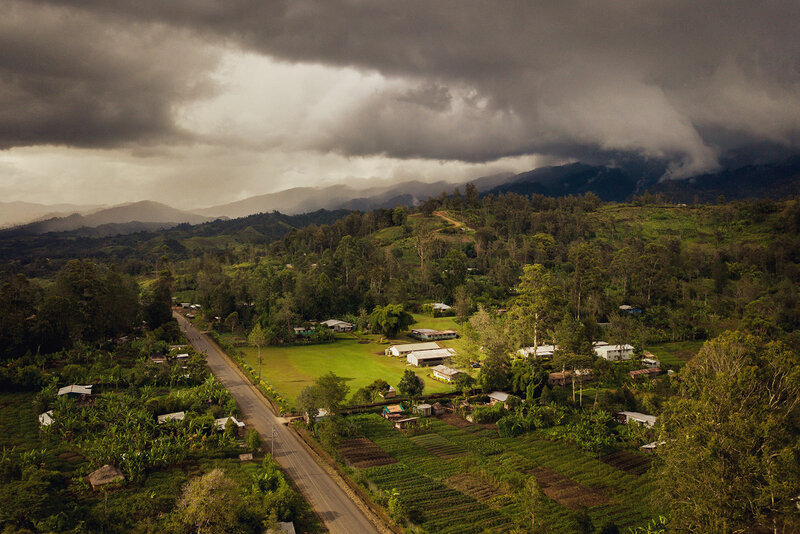 It may seem like utopia, but all those in PNG are sinners in need of a Savior. And God, in His mercy, sent His Son to save all people and gather them together around His Word. 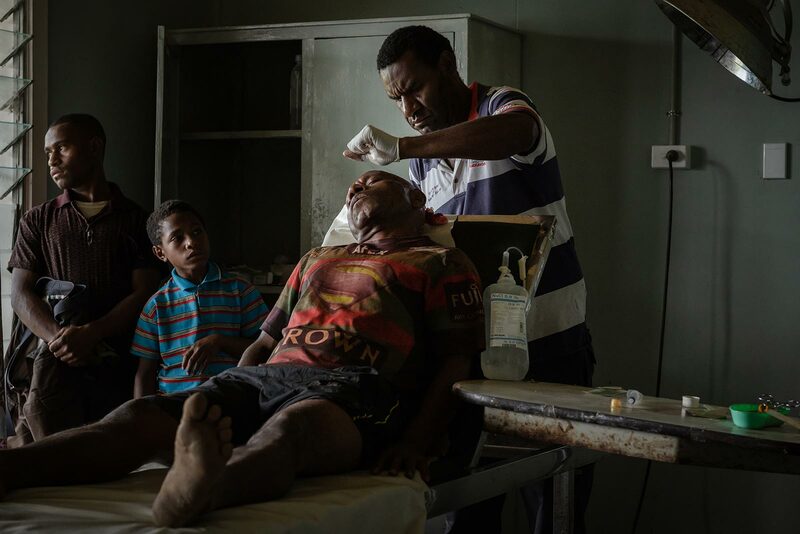 When the missionaries first came to Papua New Guinea, they focused on proclaiming the Good News of Jesus Christ, teaching and providing health care. 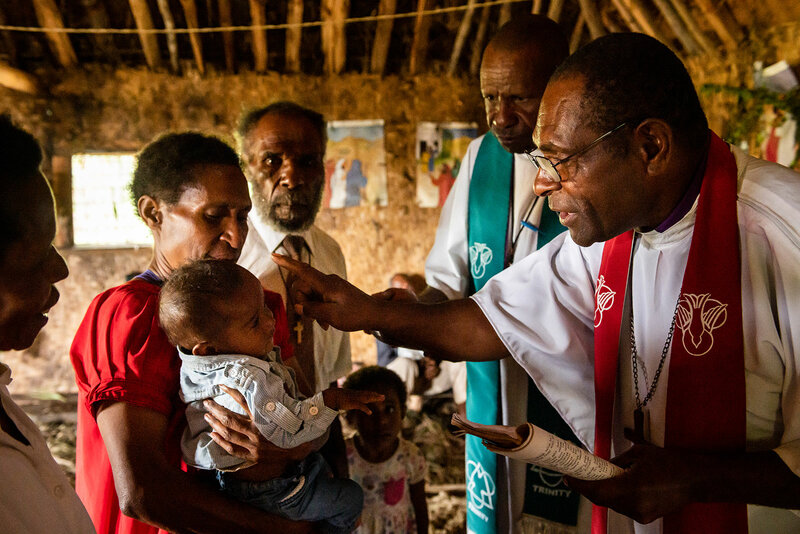 The Lutheran church remains integral to peoples’ lives and the legacy of many of its towns, especially in the Enga Province, where historic Lutheran churches, hospitals, schools and mission stations dot the landscape. Hintze and the Rev. Dr. Willard Burce began the first mission post at Yaramanda, Enga Province, in 1948. Later, Burce moved up the valley to what would become the mission and GLC headquarters. Scores of LCMS missionaries soon arrived to join the effort. In 1961, Burce moved to Birip to start what is now Timothy Lutheran Seminary. The people of Enga still revere the names Hintze and Burce, thanking God for the ones who brought the Good News to their highland valleys. Even today, any missionary receives a warm reception and reminds the people that they are part of the universal Church. 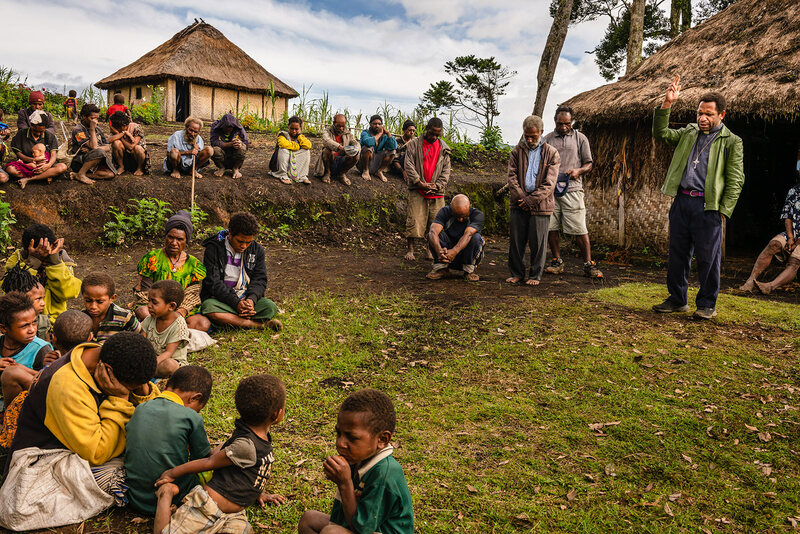 Although LCMS missionaries are still held in high honor, the GLC is working to train its own pastors and face issues common to all church bodies, as well as some that are unique to the people of PNG. The GLC has over 80,000 members in six regions. While the majority of GLC congregations are located in the Enga Province (the highlands), work has expanded to bordering provinces and includes at least nine different language groups. The GLC now contains between 450 and 500 congregations. The exact number is hard to ascertain, as many of the congregations are far from roads or electricity. Visiting the churches under their care requires some regional bishops (similar to the LCMS’ district presidents) to walk through the bush for days or even weeks. Congregations also come and go based on tribal and clan violence, which often results in burned houses and churches. 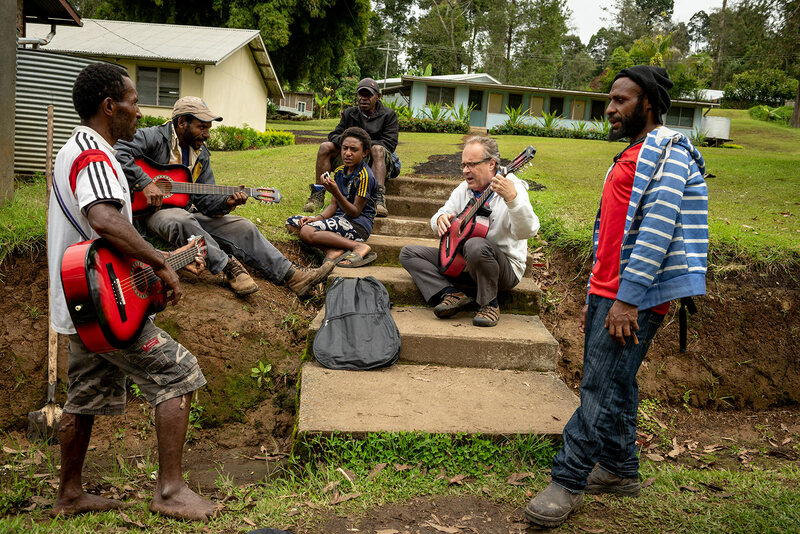 “PNG will remain a mission field until Christ returns,” said LCMS missionary Dr. Martin Dicke, music specialist and the country manager for PNG. Dicke, whose uncle was Burce, was born and raised in PNG while his parents served as missionaries. He returned to the country as a missionary in 2017. During a recent drive through the areas he visited as a child, Dicke observed that although the church faces many trials, Christ’s words are still true: “I will build my church, and the gates of hell shall not prevail against it” (Matt. 16:18). Dicke lives on the campus of Highlands Lutheran International School (HLIS) in Amapyaka, where he spent time as a child. HLIS began in the 1950s using money from the Lutheran Women’s Missionary League and originally served as a school for missionary children. Throughout its history, HLIS has faced changes. Now, the school is working to re-establish itself as an intentionally Lutheran school. LCMS missionaries work alongside teachers from the GLC to ensure the religious teaching at HLIS is grounded in sound Lutheran theology. Pam Liu reads Bible stories to her young students at Highlands Lutheran International School (HLIS) in Amapyaka. Dicke teaches his 11th-grade class. 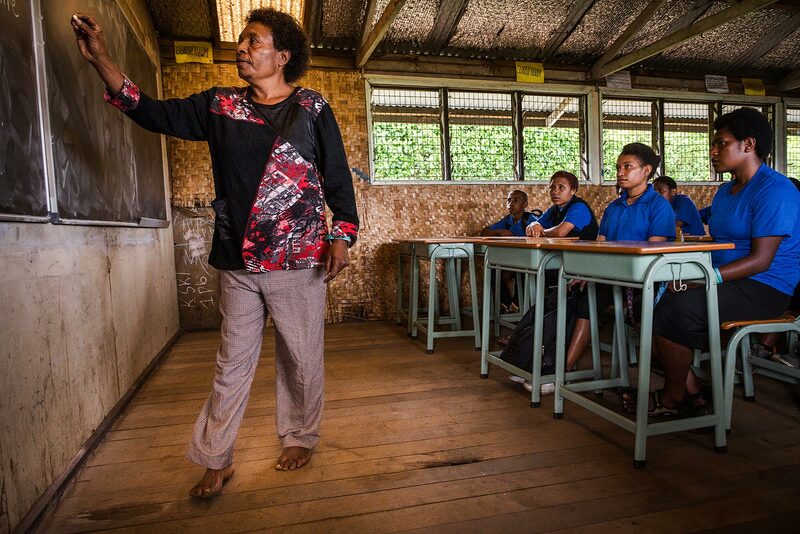 Makum Ripa teaches an eighth-grade class at Wamapisa Lutheran Primary School in Yaramanda. “Christ is the way that God’s will is done on earth as it is in heaven,” said Makum Ripa, who teaches eighth grade at Wamapisa Lutheran Primary School in Yaramanda. Down the valley from HLIS, Wamapisa is working to teach the children of the Enga Province the truth of God’s Word. Ripa’s students made mosaics for each petition of the Lord’s Prayer, and she plans to do a similar activity when they study the Apostles’ Creed next term. A doctor tends to a bush knife wound on a patient’s head at Immanuel Lutheran District Hospital. Immanuel Lutheran District Hospital in Mambisanda continues to serve as one of Enga’s best and most important medical facilities. Today, the hospital has a capacity of 120 beds, an outpatient center, clinics, labs, an X-ray machine, two operating rooms and the only autoclaves in the district. LCMS missionaries worked with seven Walther League volunteers to build the hospital in the 1950s. From 1954 until 1986, the hospital was operated by the LCMS. It also was the original site of the Lutheran School of Nursing, which was established to train local medical professionals. Immanuel is now government-funded and operated by the GLC. LCMS GEO missionary Anton Lutz still lives on the hospital grounds and works to maintain the hospital’s equipment, something he learned by watching his father, LCMS medical missionary Dr. Steve Lutz, who served as a surgeon and remote outreach coordinator at Immanuel from 1986 until his death in 2010. 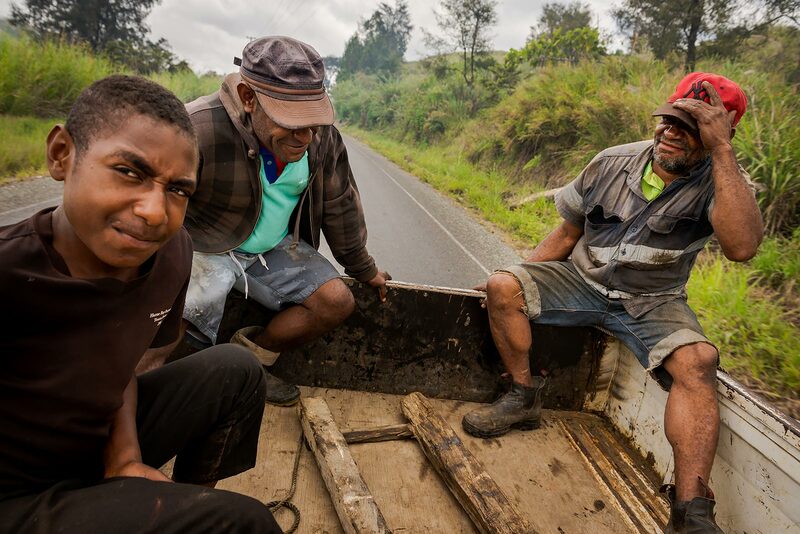 Workers hitch a ride on the back of LCMS missionary Anton Lutz’s truck as they head to the hydroelectric power plant. The hydroelectric plant, set in a small valley, powers the hospital in Mambisanda. 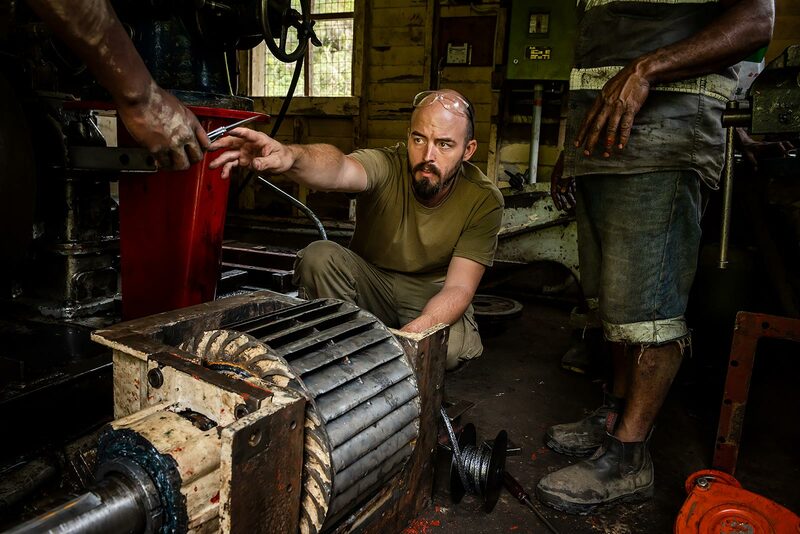 Anton Lutz repairs the hydroelectric plant. Over the years, he’s learned to make some of the parts by hand. 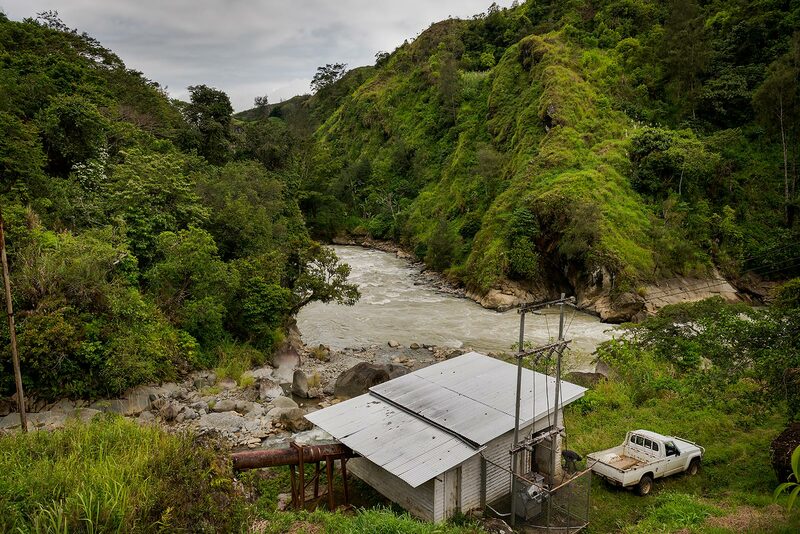 The hospital and the missionary houses built around it still receive reliable electricity from a hydroelectric system installed by LCMS missionaries in 1962. Anton Lutz maintains the aging hydroelectric plant to provide electricity for the hospital and the people who rely on it for health care. The plant’s longevity testifies to the quality of work done by the first LCMS missionaries. That work is still bearing fruit in people’s lives. “If it weren’t for the Lutherans, I wouldn’t be here today,” said Trevina Epata Gima, principal of HLIS, as she explained that she was born as a preemie and would have died if the Lutherans hadn’t built Immanuel and brought in the equipment needed to save her life. Formerly, LCMS missionaries walked through the bush to reach people in remote places with the Gospel of Jesus Christ. Now, LCMS missionaries serve alongside the GLC to continue to supply Word and Sacrament ministry, education and care to the people of PNG. At the recent funeral of a prominent layperson, the bishops and area pastors of the GLC gathered. But it was LCMS missionary Rev. Dr. Ron Rall who was asked to preach. Speaking in Pidgin to a crowd of hundreds, Rall clearly preached the resurrection of Jesus Christ from the dead. In Christ alone death is defeated. And all who die in Christ also rise with Him on the Last Day. The Rev. Dr. Ron Rall, LCMS missionary to Papua New Guinea, talks with the Rev. Willie Kambu before a funeral service at Sukutea Lutheran Church. 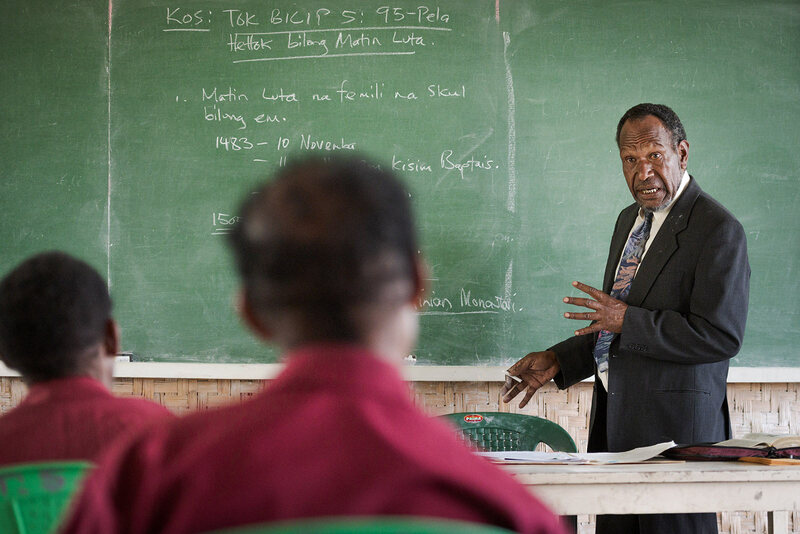 Rall, who first came to PNG in the early ’70s to serve in the remote places of the bush, now fills a different role: seminary professor and educator. Now, Rall teaches at Timothy Lutheran Seminary (TLS) in Birip, Enga Province. TLS and the GLC’s five preparatory Bible schools prepare local men to serve as evangelists and pastors. 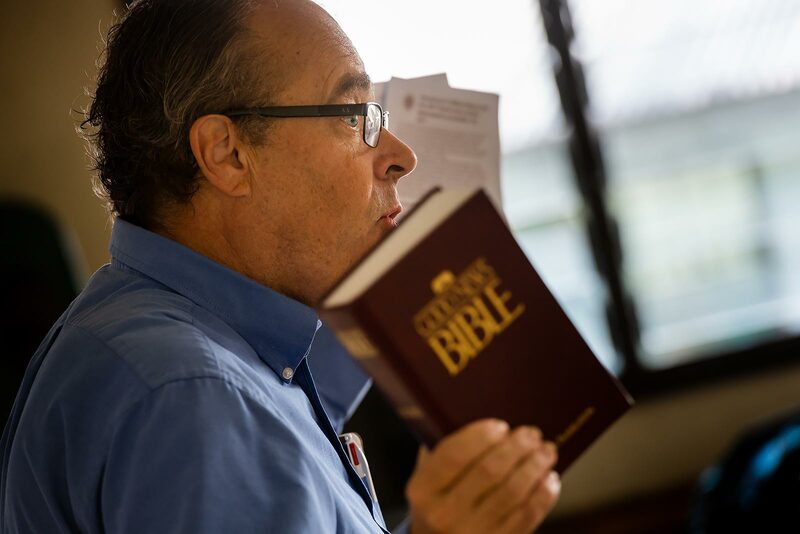 The LCMS provides annual support for both the seminary and the Bible schools. The LCMS also is providing theological education for the GLC through LCMS missionary Rev. Lawrence Matro at Martin Luther Seminary in the coastal town of Lae. Although LCMS missionaries teach some courses, their primary work is to support the GLC’s church workers as they provide this education. Starting in 1979, LCMS missionaries established the five Bible schools to provide the schooling necessary to pass the entrance exams for the seminary. If men are unable to continue to the seminary, they return to their villages and congregations equipped to serve as lay evangelists. Principal Rev. John Nathan teaches class at Timothy Lutheran Seminary in Birip. 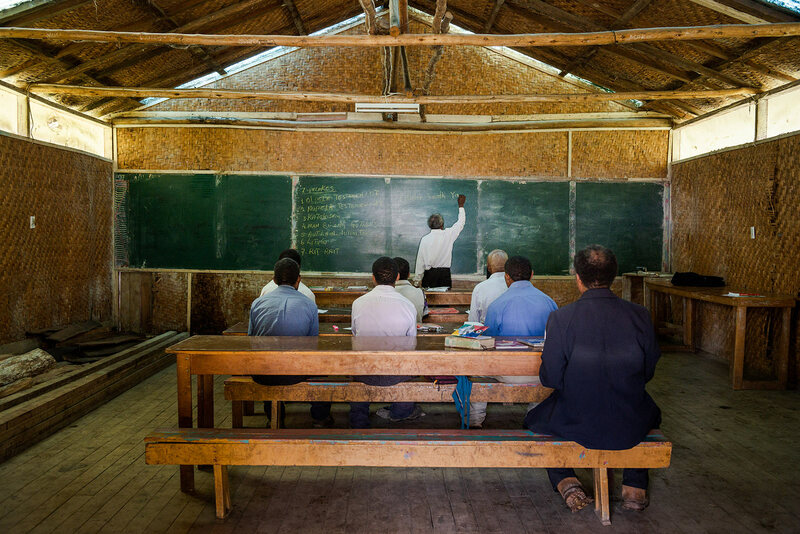 A teacher leads class at the GLC’s preparatory Bible school in Papayuk. At the seminary, men also are taught how to lead congregational singing using guitars. In a church body with no organs or pianos and few electric keyboards, guitars afford portability. The primary focus of Dicke’s work is to teach that their songs must proclaim Christ and what He has done. Dicke also works to translate materials into Pidgin and distribute them so that people can learn more about the Lutheran faith. Dicke teaches music to seminarians in Birip. Sunlight illuminates Timothy Lutheran Seminary in Birip as a storm passes through the Enga Province. An hourlong walk from the paved road brings travelers to Gutnius Lutheran Church in Makapumanda, which stands on land granted to the Lutherans over 50 years ago. 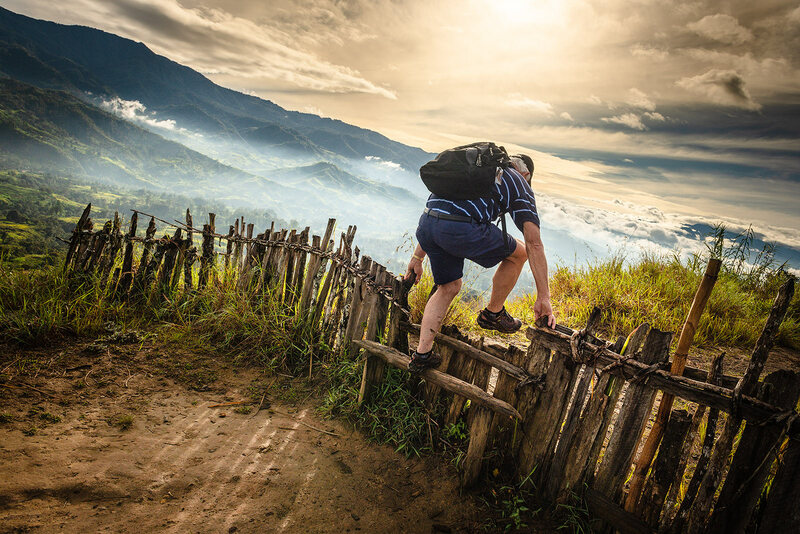 Rall follows a local pastor (not pictured) over a fence as they trek to visit a congregation high in the Makapumanda area of the Enga Province. Daniel has served this congregation since 2017, following his graduation from TLS. When Daniel first arrived in Makapumanda, there were 12 Christians. Now, there are 26 members of the congregation, and others are visiting. The Rev. Steven Daniel prays with his congregation in Makapumanda. In addition to false teachings that have caused great confusion within the members of the GLC, some of the tenets of ancestral animism still linger in people’s minds. These ancient beliefs, combined with tribalism, continue to cause strife, damage property and conflict with the teaching of the Word of God. In Tone, Patmos Lutheran Church stands at the top of a steep rocky ascent. There, Pastor Willie Kambu teaches the true and full Gospel of Jesus Christ even in the midst of many false teachers. When Kambu first came in 2000, there were 14 Lutherans in the area. Now, Patmos has 121 communicant members, with several hundred coming regularly. Thirty-three people are seeking Baptism on Easter Sunday. After Rall proclaimed the Gospel of Jesus to a special gathering there, Kambu addressed his people: “Many other churches teach other things. But the Good News of Jesus is what makes the church strong. Now you know the Good News.” The walls of Patmos bear plaques that read, “Bilip Tasol, Bible Tasol, Marimari Tasol, Krais Tasol.” Faith alone, Scripture alone, Grace alone, Christ alone. Just down the road, Luku Poko, who graduated from TLS in 2016, leads Yakenda Lutheran Church. Poko will be ordained in April, so he can serve as pastor for the more than 170 communicant members at Yakenda. The church today in the Enga Province continues to grow and learn. The roots planted firmly in the Word of God by the early LCMS missionaries continue to bear fruit. At the same time, the GLC is maturing and learning to face its new challenges with the guidance of the Lord of the Church. LCMS missionaries continue to reach those in need wherever they may live. Similar to the Synod’s historic work in the country, this still sometimes includes building airstrips, such as the recently completed Kaiam airstrip and community health post. Yet sometimes those in need have been unjustly and unfairly hurt by those in their own families or community. LCMS missionaries are working to end violence against those who have been falsely accused of hosting evil spirits, as well as to care for people who have been abandoned by society. Recently, a very disturbing form of violence has come to the Enga Province, all centered around finding a sanguma (a “witch” or “sorcerer”) to blame for the death of a loved one. More and more, people blame an unexpected death on an evil spirit living in a human host. The accused host, usually a vulnerable woman, is tortured to death in a literal witchhunt. LCMS missionaries have also worked with the many people who suffer from diseases that are considered shameful, such as AIDS and leprosy. Many ignore these people, but LCMS missionaries reach out with God’s love to those who are outside of the community. The work of LCMS missionaries in PNG doesn’t always fit into categories. “I am involved in practically every project you can imagine that makes running a church body possible,” said Michael Ritzman, business manager for the LCMS mission in PNG. 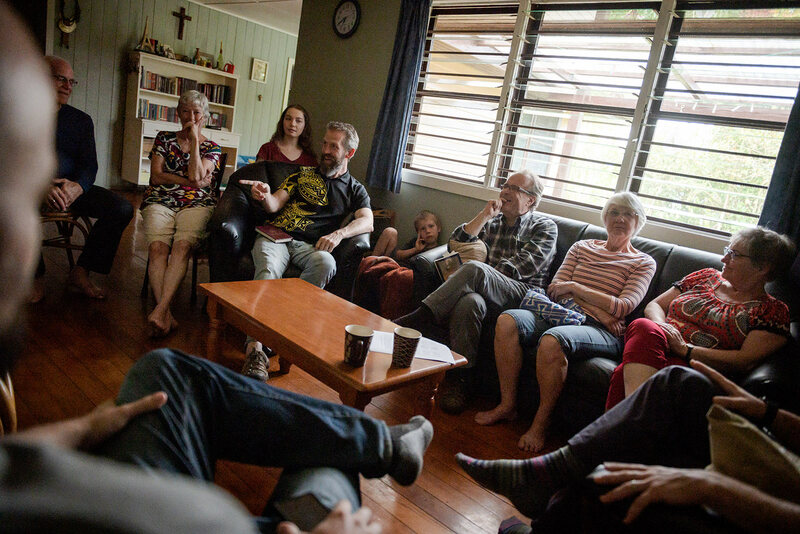 Michael Ritzman (pointing) enjoys fellowship with other LCMS missionaries at his home. Ritzman assists with the business needs and facilities of TLS and the Bible schools, teaches administration to students at these schools, and works to end the false beliefs that lead to the sanguma violence. Ritzman also watches over the administrative needs of his fellow LCMS missionaries in PNG. 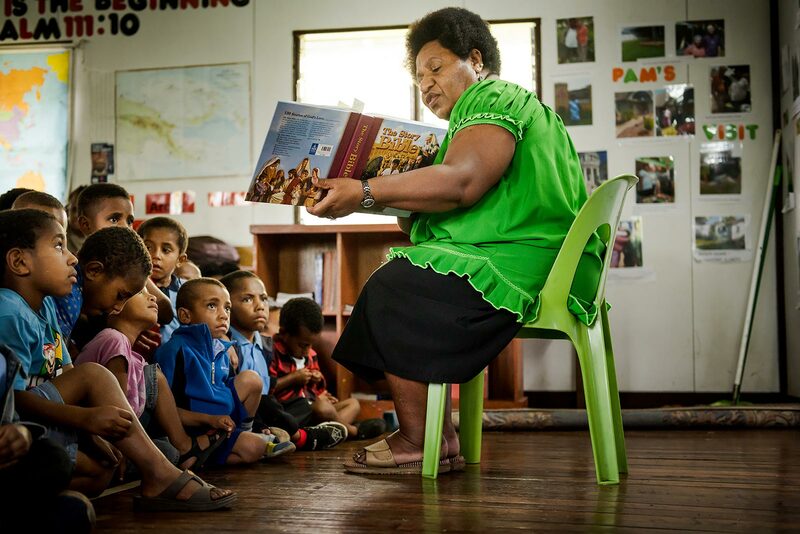 Over the decades, those resources have been used to bring the Word of God to the people of PNG and care for each person as one for whom Christ died. A partner church on the other side of the world, in a country on the opposite side of the technological and developmental divide. A partner church with language barriers and cultural differences. Yet together in the Body of Christ, the GLC and the LCMS proclaim the true Gospel of Jesus Christ and administer the Sacraments according to the Word of God. And in Christ alone is our hope. A massive bamboo tree stands in the middle of the TLS campus. Decades ago, this “Birip Bamboo” was planted by Burce with the promise to the locals that the Word of God would take root and grow here in PNG. Over 50 years later, the tree is still growing, and the Word of God is still bearing fruit. Lord of the Church, we rejoice with our brothers and sisters in Christ in the Gutnius Lutheran Church (GLC) in Papua New Guinea, who share with us in the blessings of our Lord, Jesus Christ. Bless the work of Timothy Lutheran Seminary and the Bible schools, as they prepare men for ministry in the GLC. Be with those teaching in the schools, and with the lay leaders who continue to share the faith. We ask You to also bless the missionaries, who share the Good News of Jesus with the people of Papua New Guinea. Strengthen Your whole Church on earth, that we might all dwell in Christ, who is our life and salvation. In Jesus’ name. Amen.